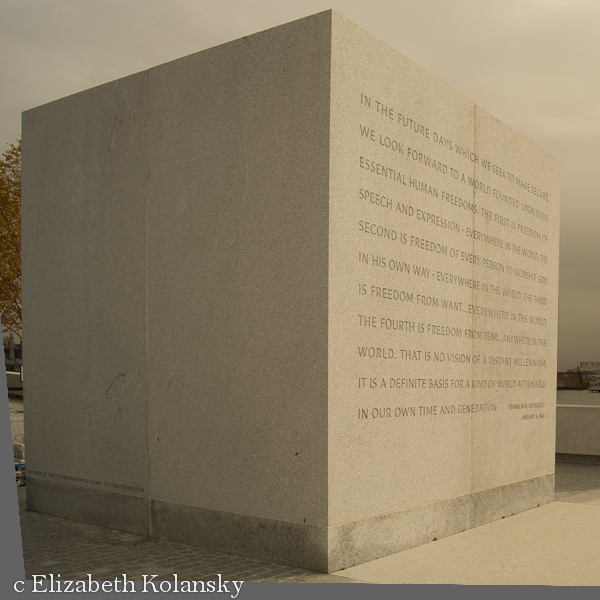 Date: November 5, 2013 Author: lizoly	Category: art, graphic design, Illustration, sculpture	Tags: F.D.R., Fd Roosevelt four Freedoms Park, Four Freedoms park NYC. 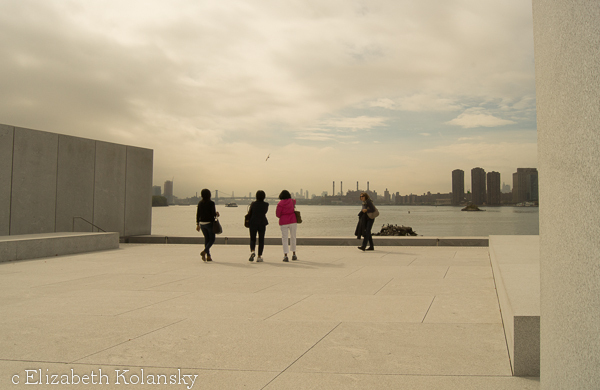 The Franklin D. Roosevelt Four Freedoms Park situated at the tip of Roosevelt island is a pleasant respite for the sensory overloaded of New York City. Architect Louis EI. 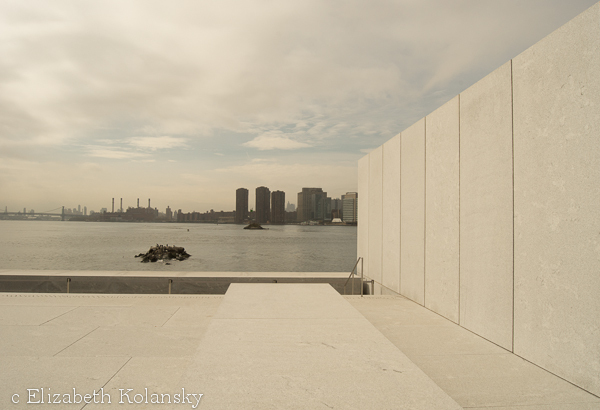 Kahn designed an austere cool symmetry that channels our focus away from the adjacent skylines towards the rather tame vista of the southern Hudson River. 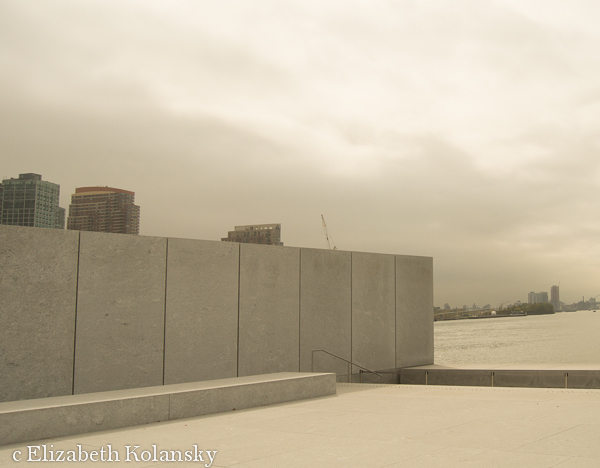 I was lucky enough to be there on a quiet day with few visitors to disrupt this meditative landscape and took a moment to actually contemplate the four freedoms. 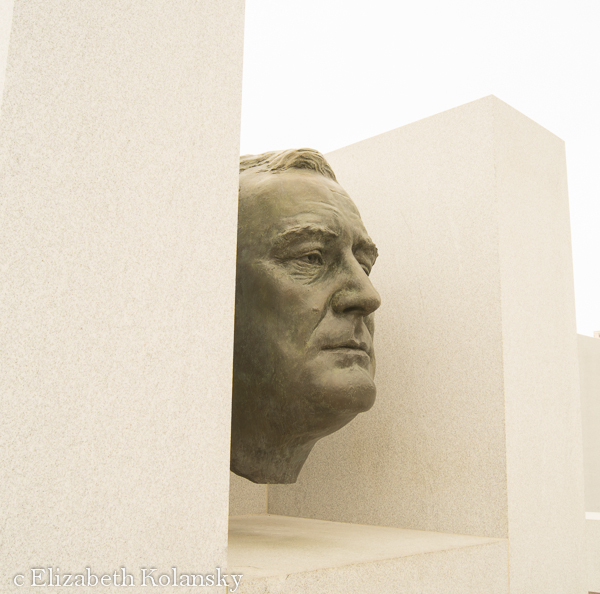 Does the Park live up to those four freedoms? There is a guard, it is closed at night and a rope prevents you from falling in the water; so, I suppose it does it best to keep us free from fear. Freedom from want? The 120 Linden trees don’t bear fruit there is no charge for admittance, though you’ll need the $2.50 for public transport to get there. Freedom of religion? I guess so, with a permit. Freedom of speech? This seems an ideal location for a formal speakers corner like in Hyde Park, London. 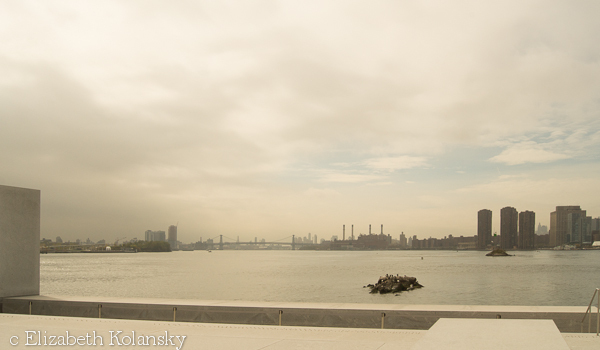 There have been attempts to create one in NYC but I don’t believe there is one as of yet. But those smooth flat surfaces! They are just begging to be freely expressed upon! How about this idea? Once in a while those walls could be covered with canvas sheeting and the public would be free to express upon them.